Every year, thousands of people chose to go down South to get away from the stresses of life, and sometimes just to go have a good time. We wanted to take the time to explore the best destination vacation location in the Caribbean. How do you judge what is the best destination vacation location in the Caribbean? We highly recommend checking out reviews to see which one ranks well. People are usually great at leaving honest reviews. Check out Expedia for your reviews before deciding which is the best destination vacation in the Caribbean. Jamaica has been an attraction for travelers all over the world. This beautiful island is known for, it’s feel-good reggae vibes, its amazing beaches and it’s spicy jerk chicken. Visiting Jamaica is like visiting paradise. There is an abundance of things and sites you can visit. Looking for a good nightlife, head on over to Negril. There you will be sure to have a great island time. And if you are looking for a more low key time with the family, then Montego Bay is the town for you. You can arrange a bunch of activities, from beach day, zip lining or river tubing. Jamaica is such an amazing island, and the people make it so inviting. Book your trip to Jamaica today. Trust me, man, you will feel great once you get there. Jamaica is definitely considered as one of the best Destination Vacation location in the Caribbean. 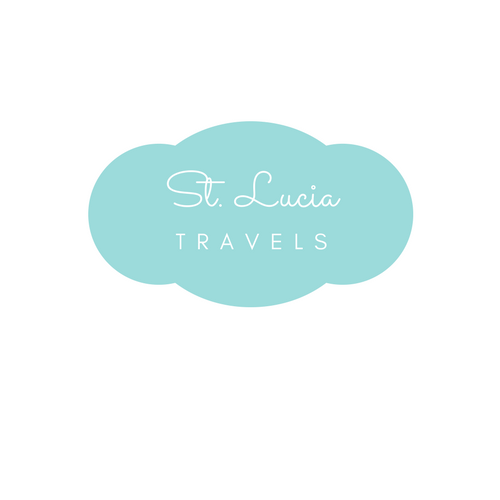 St. Lucia is known for its instinctive beauty, its lush green forest, and its amazing beaches. This little island has so much to offer and is also considered as one of the best Destination Vacation location in the Caribbean. It has such a romantic atmosphere. The bright blue skies, the deep blue ocean, and a backdrop view of beautiful majestic mountains. It is the only island with a drive-in volcano. Could you imagine having a hot tub, right in the mountain grounds? How about a hike up the famous Pitons. That will get you travelers going. The great thing about this island is that it is also a great place where you can enjoy with your family. The splash pad at Pigeon Island can be fun for both adults and kids. Looking for some nightlife, head on over to Rodney Bay where you will find an array of clubs and bars. Having that travel fever yet, don’t wait, book your vacation to this paradise island today. When you think Barbados, you think paradise. Home to one of the world biggest stars, Rhianna. This island is known for its powdery white sand beaches, its warm and friendly people and its scenic beauty. This beautiful island has so much to offer and we truly believe that it is one of the best Destination Vacation location in the Caribbean. Looking for a relaxing day at the beach, then look no further, this is the island that has some of the most beautiful beaches. Feeling adventurous, why not book some island excursions. Take a tour of the St. Nicolas Abbey historic site. It is one of the oldest plantation houses in the Caribbean. Looking for some fresh seafood, then head on over to Oistins fish fry, on a Friday and Saturday night. Get to enjoy the freshest seafood on the island. Ready to visit this jamming island yet. Don’t let me stop you. Book your trip today. Looking for multiple islands to visit, then this is the state for you. Hawaii is made up of 8 different islands, the biggest being the Hawaii Island. Going to this state is like getting to see all different cultures in one place. Looking for some relaxation on the beach and just surfing the waves, then head on over to Maui. On this island, there is such a chill and peaceful vibe which makes easily one of the best Destination Vacation location in the Caribbean. On the other hand, if you are looking for the busy city life, then Honolulu just might be the city for you. Honolulu has one of the world’s most beautiful beaches, Lanikai beach. If you re visiting Honolulu, this beach is a must visit. If that’s not enough, there are different volcanic crates. There are so many things to explore on this island; you will never run out of things to do. Don’t be left in the dust, book your trip and get your Aloha on. Do you want to know why Antigua is one of the best destination vacation location in the Caribbean? Because it’s known for its coral reefs, sandy beaches, and warm weather. If you are newlyweds, this is the perfect island for your honeymoon. There is a perfect resort on the island called Gallery Bay resort on Spa, where you get to have your own little private beach in a private bay. The property and the oceanfront take your breath away. Want to live like the locals for a day, that is not a problem. The people on the island are so friendly and full of life.They will show you all the different restaurants you can get great food at a low cost. One of the best restaurants on the island would be a local restaurant called Papa Zouk. It has the best fish and rum, so if you are looking a place full of seafood, this is the place to go. Don’t think about it, get typing to look for that great deal to this beautiful island. Bermuda, an island waiting to be explored. This island has so much to offer. Made up of the most beautiful white sand beaches, lush green forest, and amazing people. On this island, you can get to do so many activities. Looking for some natural attractions, then head over to Cooper’s island reserve, where you can enjoy a nice long hike through the forest and go in for some snorkeling. If you are a whale love like me you will love watching the humpback whales during the months of March and April. Another great thing about this island is that there are so many secret gems. Jacob’s cove is a secluded pink sand beach, the perfect place to take your special someone for a romantic time. There are so many things to do on this island, but don’t take my word for it, hurry and start planning your trip to this paradise island, known to many as one of the best Destination Vacation location in the Caribbean. Is Martinique the best Destination Vacation location in the Caribbean? Martinique, an island made up of beautiful black sand beaches, lush green mountains, and amazing French, creole cuisines. The island is known for its active famous volcano, Mount Pelee. Its last eruption was in 1929. There are an array of waterfalls cascading down into a pool of crystal clear water, these are a must visit. This little French island has amazing taste in food. You know the French are known for their cooking, so that’s no surprise there. If you are looking for freshly caught fish, head on over to Pignon Nouvelle Vague. You won’t regret it. There is an abundance of activities to do on the island. You can plan a day to visit the island and their many historic sites, or just lay on the beach all day, don’t worry, we won’t judge. Whatever you decide to do, there is something for everyone. Guadeloupe, known for its soft sand beaches, beautiful cascading waterfalls, and their rum punch is easily the best you will find in the Caribbean. It is known as one of the best Destination Vacation locations in the Caribbean. Visiting this amazing island, you can never run out of things to do. Want to laze out on the beach, not a problem, head on over to La Caravelle for a nice quiet afternoon, or looking for some waves, Grande Anse would be the perfect beach for you. There are so many beautiful cascading waterfalls you can visit. If you love hiking as much as I do, then you will love this hike to the Carbet falls. The view is spectacular on your way there. That is something you would not want to miss. One more thing about the island is that delicious fruity rum punch. You just can’t get enough of it. They come in all different varieties, from tamarind to ginger to coconut and so much more. Have you booked your flight yet to this amazing island? The Dominican Republic, being the second largest Caribbean countries, has so many beautiful things to offer for travelers from all over the world. Known to many as one of the best Destination Vacation Location. This amazing island is open to tourist all year round, with its inviting white sand beaches, it’s fantastic tropical weather and its scenic mountains. This island is best known for its music and dance. With the mix of African and European musical elements, this island comes to life with the dance of meringue. The island offers a variety of things to do. Laze around on some of the best beaches on the island, or book a day excursion. Visit some of the museums to learn about the history of the island. So many things you can look into to. Don’t let me have all the fun here. Book your trip today to have an amazing time in the Dominican Republic. Dominica, an island known for its Creole heritage, its natural hot springs, and tropical rainforest. This island for sure is one of the best Destination Vacation Location in the Caribbean. This mountainous island has so much much to offer. Spend the day on one of their beautiful white sand beaches, and just get lost in the clear blue water. Visit the natural sites like the boiling lake which is situated in the Morne Trois Piton National Park. Go out for a day of exploring and take a hike to the Middleham Falls, this is a tough hike, be prepared. Still looking for some more fun, head on over to the Ti Tou Gorge. This magnificent and exotic cave and waterfall make you come to life. There are so many things to do on this island, but I won’t give you to much detail. Book your trip today to have an experience of a lifetime. If you liked this post, PIN IT to your Travel Wish List today. Love this post! I’ve been thinking about heading down to the Caribbean lately, so I’ll be using your tips as I think about where to go. I’ve never been big on beach destinations because I thought they were overrated… Until this post came along. Bookmarked for future reference and a mental note to self: DO NOT CLICK ON TRAVEL POSTS UNLESS YOU WANT YOUR TRAVEL LIST TO GROW.